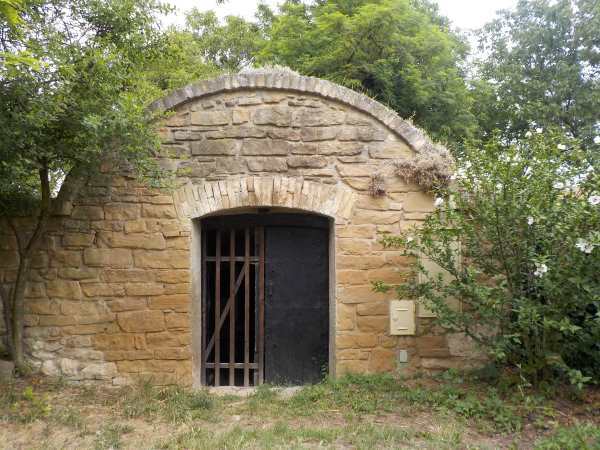 Root cellars have been used for centuries to keep root crops, wine and other perishable crops viable for the whole year. Before refrigeration, this was the only way to keep from going hungry. 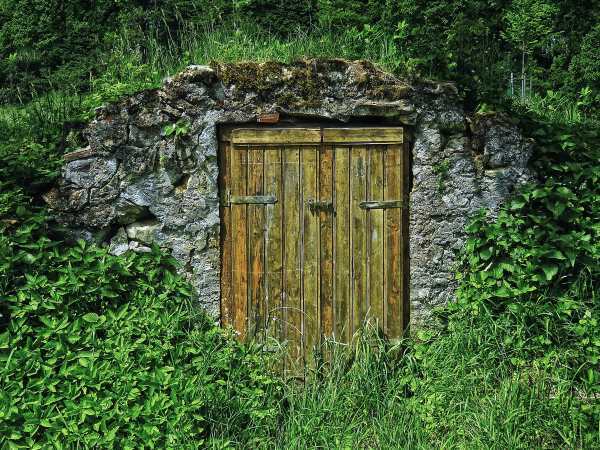 There are many ways to build a root cellar, but all of them have a few things in common. They are made so that the temperature stays cool, yet above freezing. This can be achieved in several ways, the easiest and most reliable is using the depth of the earth itself. 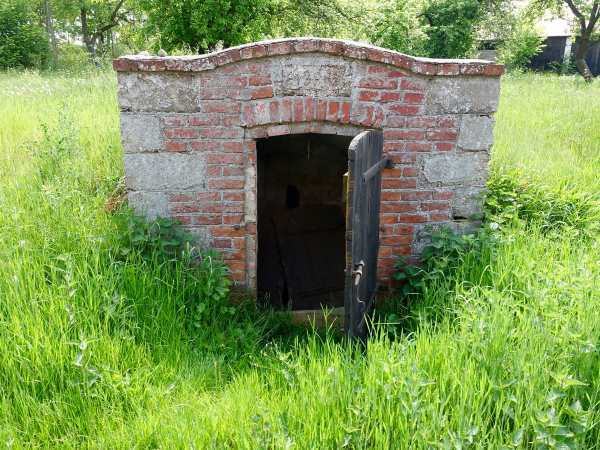 At around a meter or three feet down, the soil stays at a steady temperature, around 10 degrees Celcius or 50 degrees Fahrenheit. This is ideal for keeping most crops in a state of stasis, preventing them from continuing to grow. The nutritional value stays in an ideal range at these temperatures. 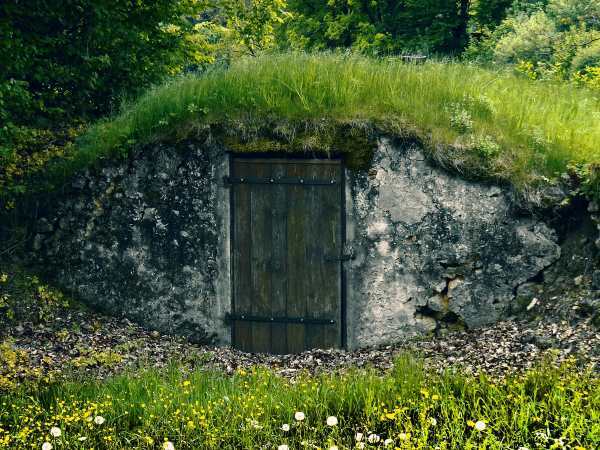 Earth sheltered root cellars or those carved right into the living rock are the most reliable for keeping your crops at the right temperature. Other factors that are just as important is the humidity which varies with your crops, darkness, and the absence of vermin. Ease of access, including a door wide enough for a wheelbarrow and close to a driveway will make it simpler to use. Good drainage so water won't pool inside it, and some way of providing ventilation will prevent spoilage. Nothing is worse than losing your entire organically grown winter store to rot due to too much moisture. 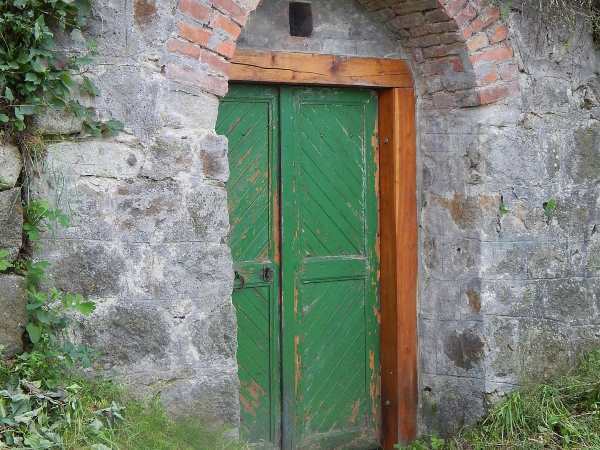 Stone walled root cellar with brick architrave and a green roof for insulation. 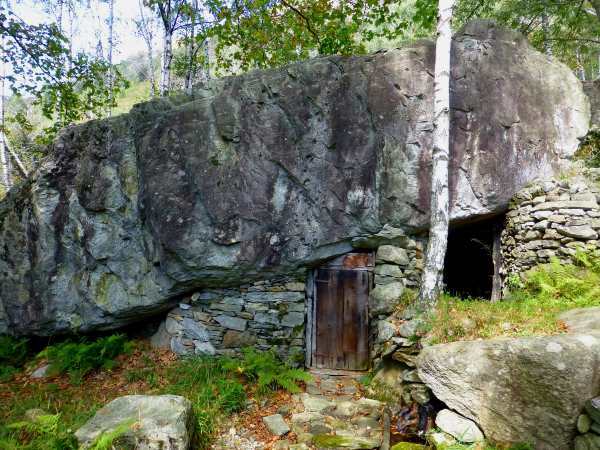 Living rock root cellar created from large boulders accented with rock walls. 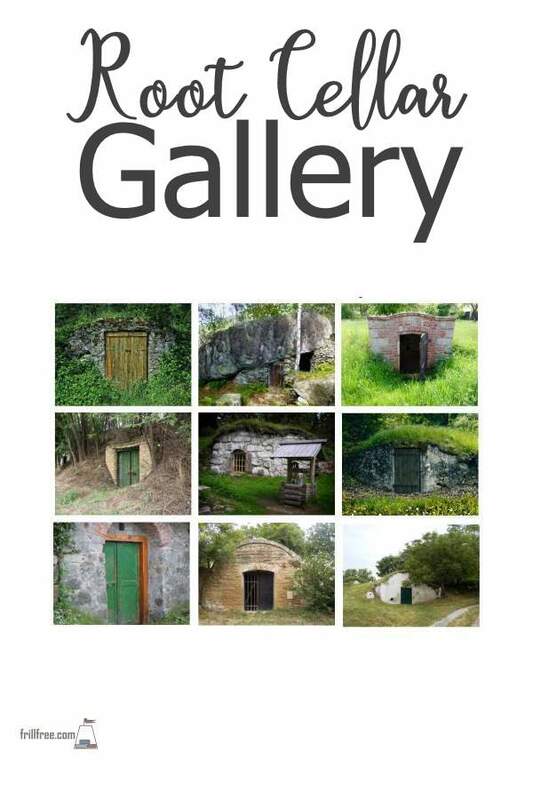 Root cellar with nearby well. Domed construction of tightly fitted stone. Intricate brickwork and earth sheltered. 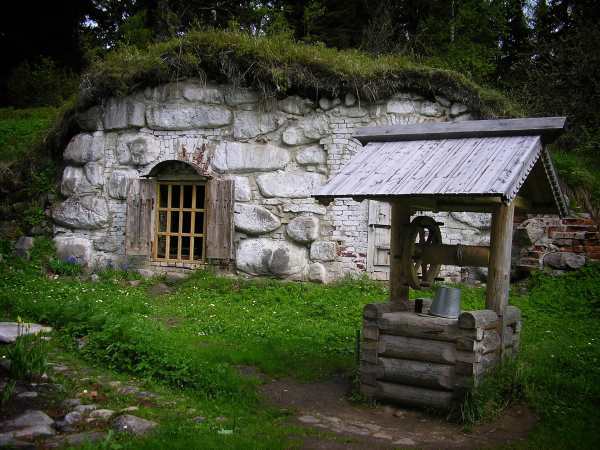 Rugged stone and rustic root cellar. 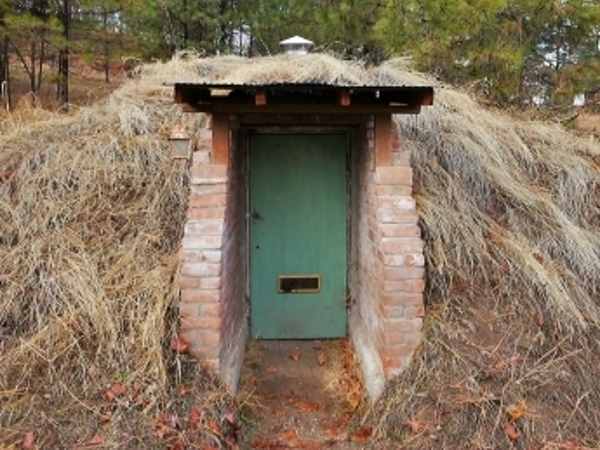 Thick sod roof keeps this root cellar cool. 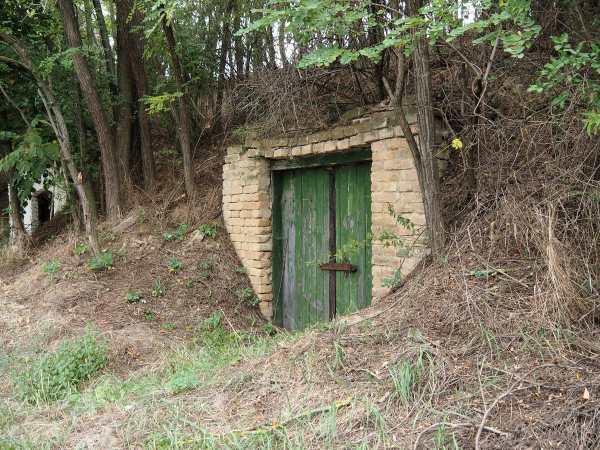 Set into a wooded hillside. 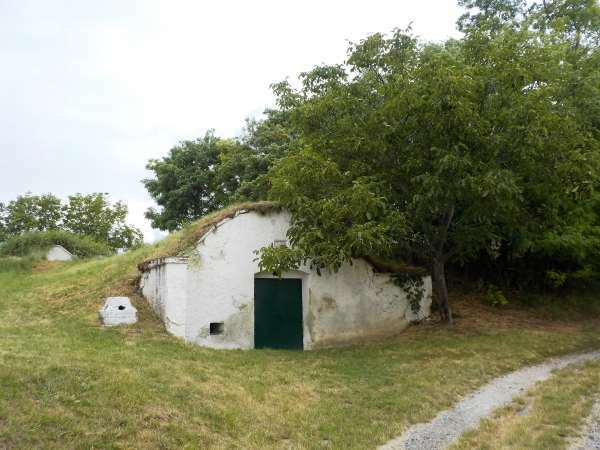 Neatly whitewashed and earth sheltered. 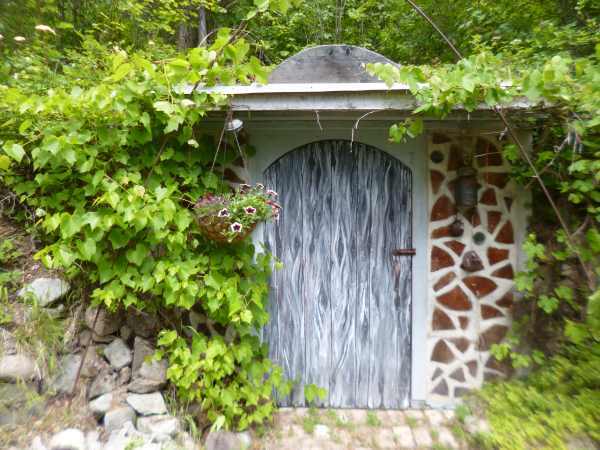 Cordwood walled earth sheltered root cellar, Glory Be.